Kyousougiga is definitly my favourite so far, did you watch the ONAs as well? Heh, heh. I couldn’t leave it alone forever. Thanks for sticking with me. I watched some of the them, but not all. It was very beautiful, but made no sense to me. Still was interesting enough to have me excited to see this version, and I’m glad I have a chance to watch it now. I’m serious about building a robot to help me write the blog, BTW. That ought to be quite a sophisticated construction, I imagine..
🙂 We’ll see how things turn out. I’m watching all the mentioned shows except for Golden Time right now, how is that going for you? 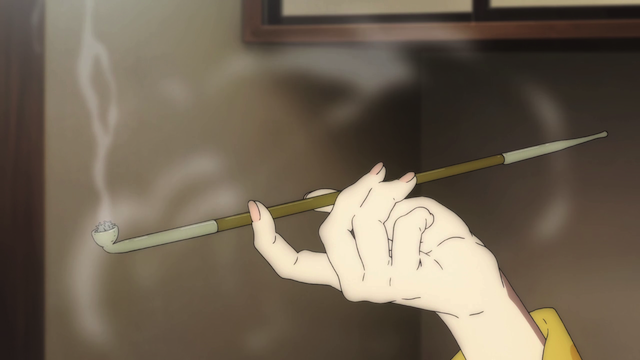 Also, agree on the awesomeness of Kyoukai no Kanata. Pedal was a surprise for me too so definitely going to watch that. It’s a wonder how many sports anime have released this season and I’m watching all except for Ippo. I don’t know if Golden Time has proven itself yet, but it took a bizarre turn in the third episode that I really appreciated. It am interested to see if it can survive the comparisons to Toradora. In a previous blog entry you talked about Nodame Cantabile, and a new anime that more or less promissed be like it but in a arts school. Well, what are you waiting to see Hachimitsu to Clover (Honey & Clover)? THAT is a great anime set in an art school, and also from NoitaminA. Yes, I watched Honey & Clover a while back (both seasons). It was a good show, and was better than the show I think you are talking about (whose name I’ve already forgotten). H&C was pretty depressing at times, but it was quite well done. If you haven’t seen it, another show set at an arts school (and also aired in the Noitamina block) is Paradise Kiss. It has a great sense of style. Worth watching if you liked H&C and Nodame Cantabile.